CHESTERFIELD, Mo., April 1, 2016 /PRNewswire/ -- The City of Chesterfield is teaming up with Republic Services, a recycling and waste industry leader, and USAgain, a national textile recycler, to offer residents a curbside textile collection pilot program. The new service will begin on Saturday, April 2, and it will be offered to Chesterfield residents on the first Saturday of each month for the next year. "Our partnership with Republic Services continues to benefit our residents," said Michael Herring, city administrator for the City of Chesterfield. "Effective April 2016, Republic, in coordination with USAgain, will make available curbside textile recycling services at no additional cost to residents. Our residents are strong recyclers, averaging 395 tons per months; this creates yet another opportunity for our community to recycle. We support Republic's on-going efforts to encourage recycling and commend them for their leadership." USAgain has been offering textile recycling bins in the area since 2000, and will begin collection services at Chesterfield's 13,500 households this Saturday morning. "Clothing consumption has increased fivefold in the last 30 years. This means we also dispose of our clothes at a much faster rate," said Mattias Wallander, chief executive officer of USAgain. "With 11 million tons of textile waste going to landfills each year, it is more important than ever to provide communities a convenient recycling option. We are excited to make textile disposal easier with a curbside program, and look forward to helping the City of Chesterfield divert textiles from the waste stream." "Any time we can enable customers to reduce, reuse and recycle more, it is a good thing," said Casey Powers, general manager of Republic Services. "We were the first company in metropolitan St. Louis to introduce All-In-One Recycling™ to residents, and the first to introduce it to commercial customers. It is only fitting that this year, in celebration of Earth Day, we are partnering with the City of Chesterfield and USAgain to introduce another curbside recycling initiative." To view Republic's 2014 Sustainability Report, go to RepublicServices.com/sustainabilityreport. 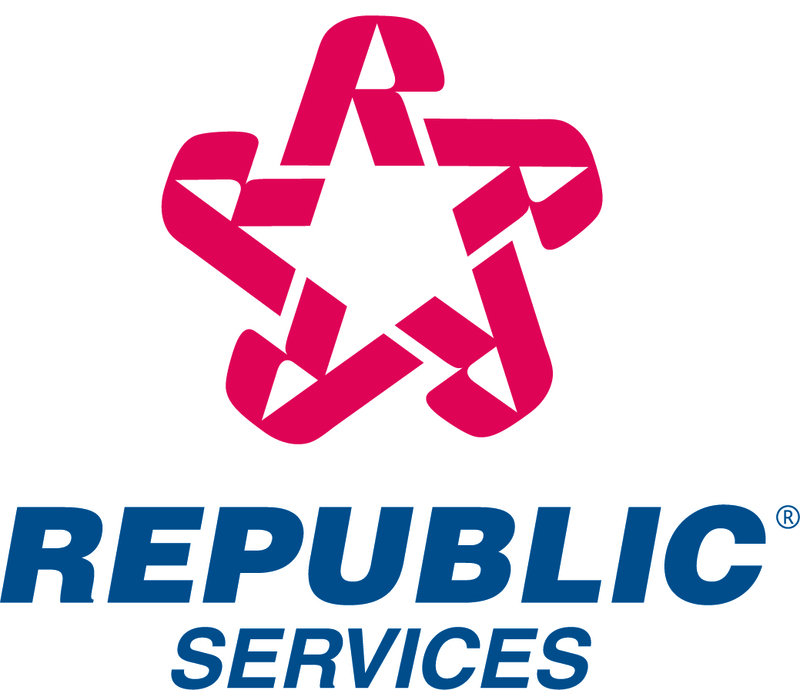 For more information, visit the Republic Services website at RepublicServices.com. "Like" Republic on Facebook at www.facebook.com/RepublicServices and follow on Twitter @RepublicService.